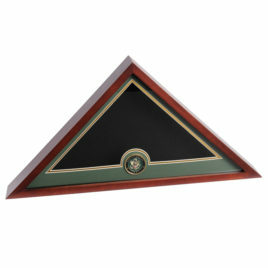 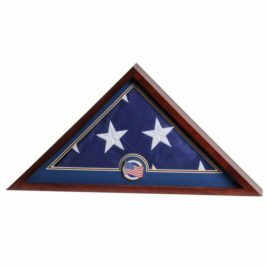 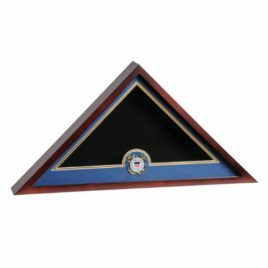 Constructed of rich mahogany colored hardwood and thick glass, each display case is designed to hold a 5′ x 9′-6″ cotton flag, and features an easy open back panel with felt lined, scratch resistant bottom. 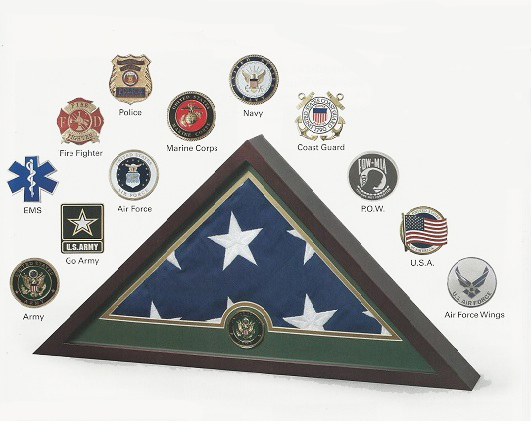 A die-cast E.M.S. medallion is centered on a bevel-cut double mat.